We supply, deliver and install filing cabinets to Wollongong, Illawarra, Sutherland, Sydney, Southern Highlands and the South Coast. We offer a large selection of filing cabinets for you to choose from and at the best prices you’ll find anywhere in the Wollongong area. 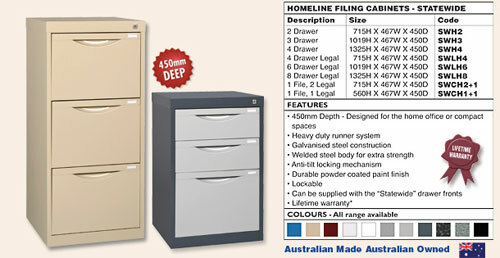 A filing cabinet makes it easy to organise your office documents. 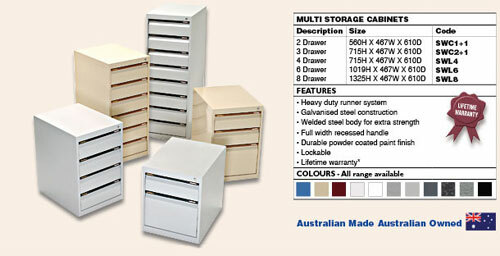 Our various ranges of filing cabinets come in diverse colours and styles. We have 2-drawer, 3-drawer and 4-drawer filing cabinets. We have steel and wooden filing cabinets. 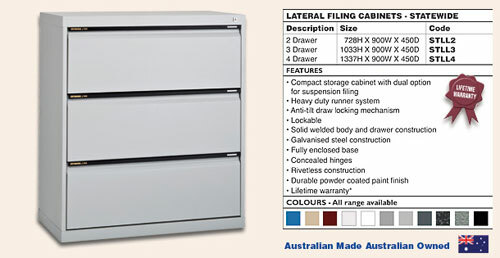 Choose from our range of standard and lateral filing cabinets for a style that’s going to suit you. Our extensive range of filing cabinets will make it a pleasure for you to shop with us. 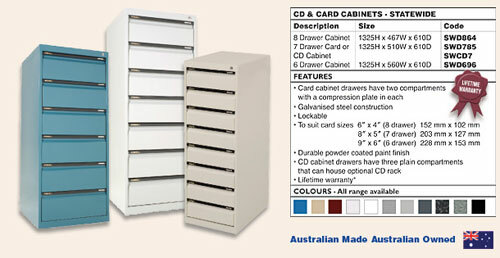 Organise your CDs or Cards with a filing cabinet made specifically for the job. Low height models can be positioned underneath desks or tables. Fitted pedestal models can be fitted under desks. Mobile filing cabinets allow you to bring your filing system to where its needed when you need it.